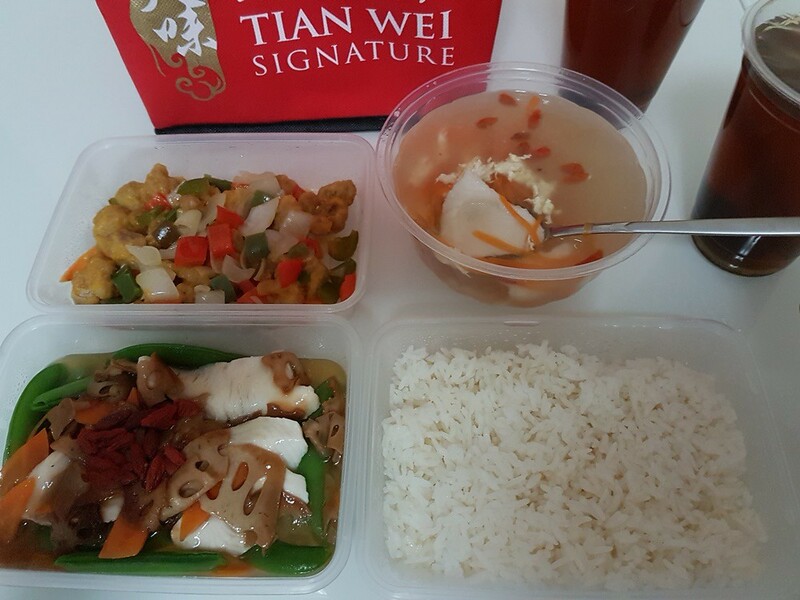 Tian Wei Signature has refreshed their menu and introduced MORE unique dishes to its already extensive menu! You know a brand values its customers when it constantly strives to make improvements and always replies to feedback humbly. I’ve had comments that it doesn’t resemble traditional confinement food. 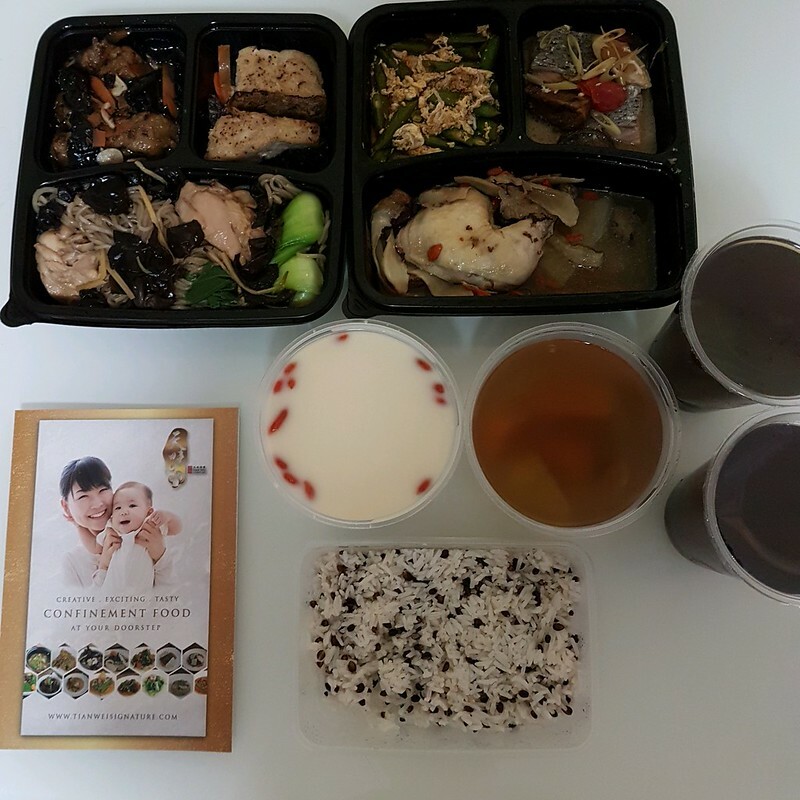 I find the incorporation of dishes from other cuisines refreshing as the ingredients of each dish are carefully selected to aid in recuperation after birth and promote lactation. I was pleasantly surprised when offered a chance to try their new menu because I’m no ~*influencer*~ and there will not be carefully posed photos of me in makeup, smiling as I put a spoon to my mouth. ANYWAY. 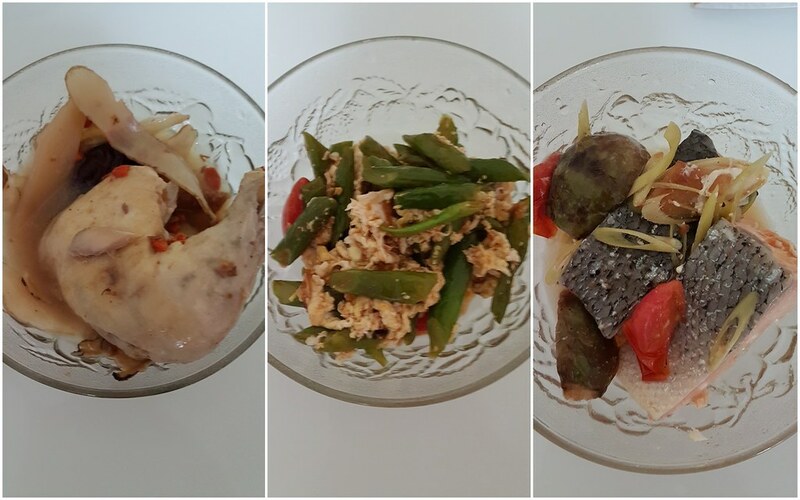 “These dishes will be in smaller portion than usually what you will be receiving, just so that you can have more varieties to taste” I WAS STUFFED. Each meal comes with their standard 1L of red date tea. It’s been such a long time since I’ve been pampered with nutritious lunches! THIS MENU IS SUPER TASTY. Please try it for yourself if you suspect I’m being paid (no I’m not) to write this. 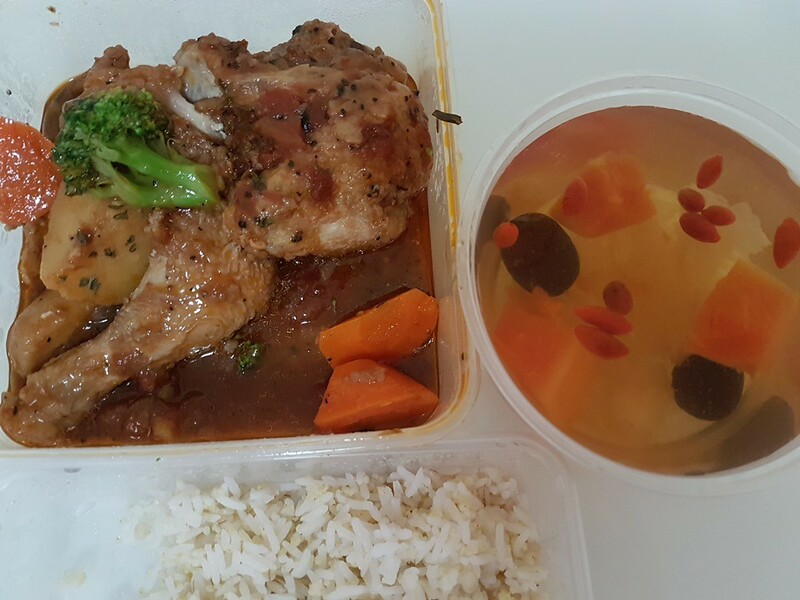 The fortune herbal chicken broth had more herbs than water and it tasted rich and flavourful. The french beans with egg as well. I didn’t expect myself to like it that much. My favourite dish of all was the Thai Lemongrass Salmon because this reminded me of my #1, perfect last meal dish, Teochew Steamed Pomfret. I can easily eat this over and over again! Before you think I’m going to rave about every single dish…. there was too much ginger in the sweet potato soup, making it too spicy for me to handle. My personal preference is for sweeter desserts. I also got to taste their signature milk boosting soup again, the green papaya milky fish soup. Ultimate milk booster, this one. 木瓜牛奶! Every single dish here had black fungus. Black fungus aids in preventing blood coagulation, thrombosis and embolism as well as prevent heart disease. It’s rich in iron, cellulose and plant collagen! The vermicelli was made from sweet potato and was not overwhelming on the palate. 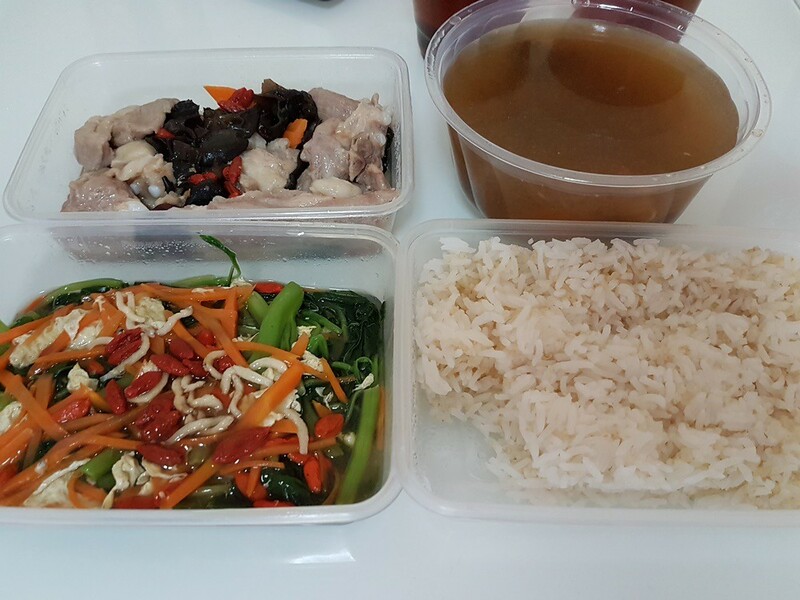 The pork did not have a gamey smell and the carrots and black fungus gave the dish an added crunch. The miso threadfin was panfried. Threadfin is one of the more expensive fishes in the market as it has a lower mercury content. 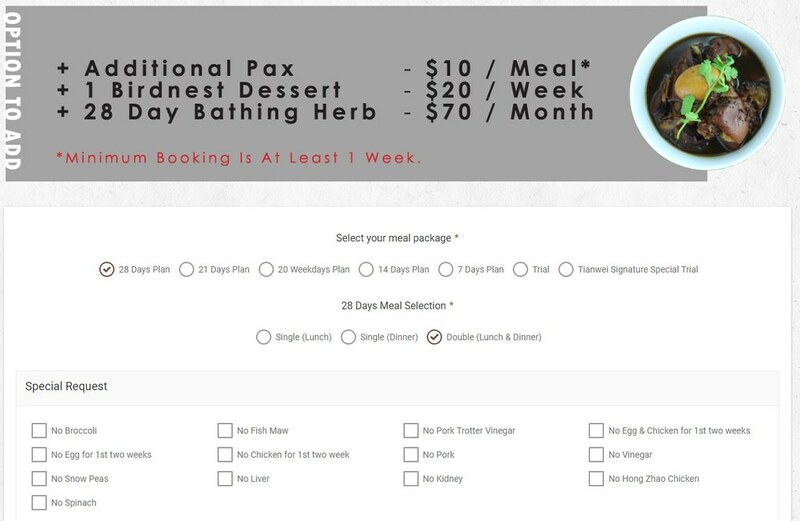 If you’re still undecided on your confinement caterer, maybe you can purchase a trial meal before deciding. Check out their menu here! If you have decided, here’s a Discount Code! Enjoy $148 OFF! Use TWBIBIMBUBS when placing your order. Only applicable for 28-day lunch & dinner package. Valid till 30th June 2018. 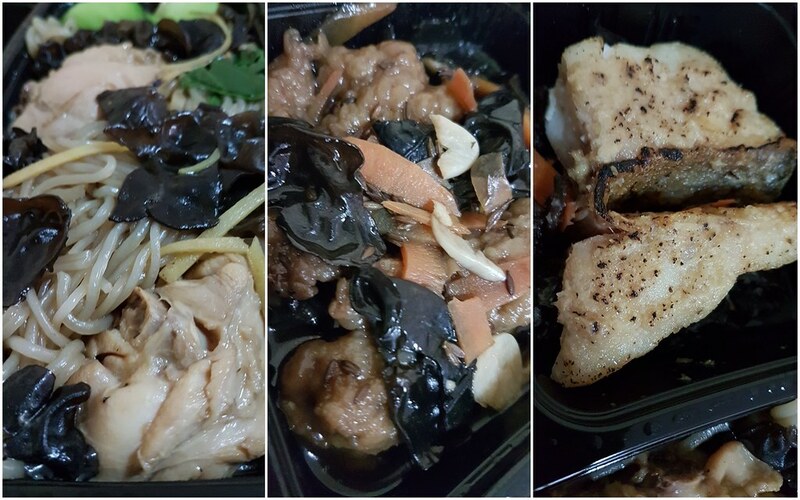 A new entrant to the confinement catering market, Tian Wei Signature provides another choice to mothers in confinement, offering Mediterranean fusion and Japanese dishes in addition to traditional confinement meals. Head chef Eugene Tan has more than 10 years’ experience in cooking and has participated in many culinary competitions. Managed by the same people behind PEM Confinement Agency, Tian Wei Signature has a carefully thought out menu with emphasis on breastmilk boosting ingredients. 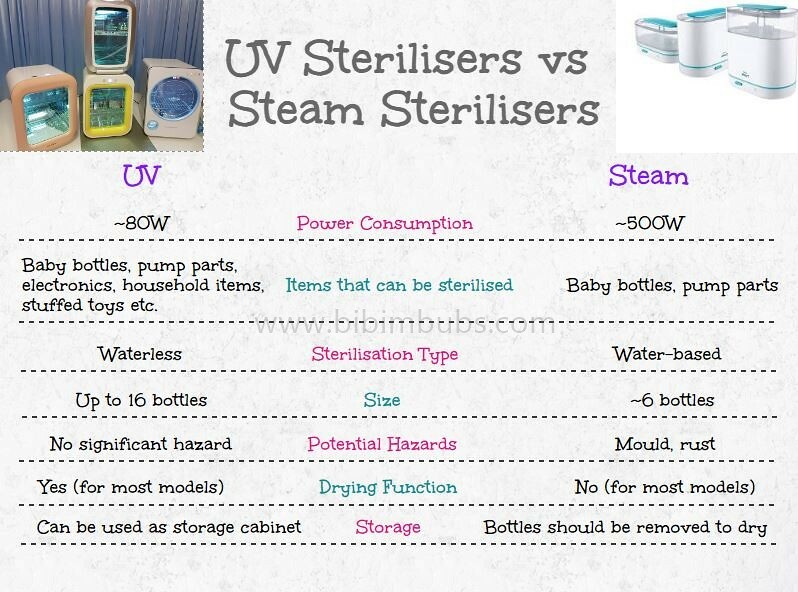 The website is cleanly designed with necessary information prominently displayed. Click on your preferred package and a checklist pops up, allowing you to omit ingredients you do not want in your meals. I didn’t want any kind of insides in my meals, so I clicked on “No Liver” and “No Kidney”. If there are any ingredients not in the list, email them. A deposit has to be made in order to confirm your package booking. The remaining payment can be made on the first day of food delivery via cheque or internet banking. Their 28 day package (lunch & dinner) costs S$1,688 with an early bird discount of $128 if the booking is made at least 1 month before EDD. I’ve been on both sides of customer service and I’m very impatient, so I hate waiting or making people wait for replies. I reply to emails almost instantly if I see it. Tian Wei does an EXCELLENT job at customer service. The team goes over and beyond to impress customers. I have lots to learn from them. Service recovery is TOP NOTCH. I wasn’t satisfied with a particular dish and left them an email. Almost immediately, I received a call from Charles saying he would follow-up with the kitchen to see how the dish could be improved on. He then offered a complimentary meal (which I wasn’t expecting). The team prioritises customer satisfaction and it’s evident in how they treat their customers. 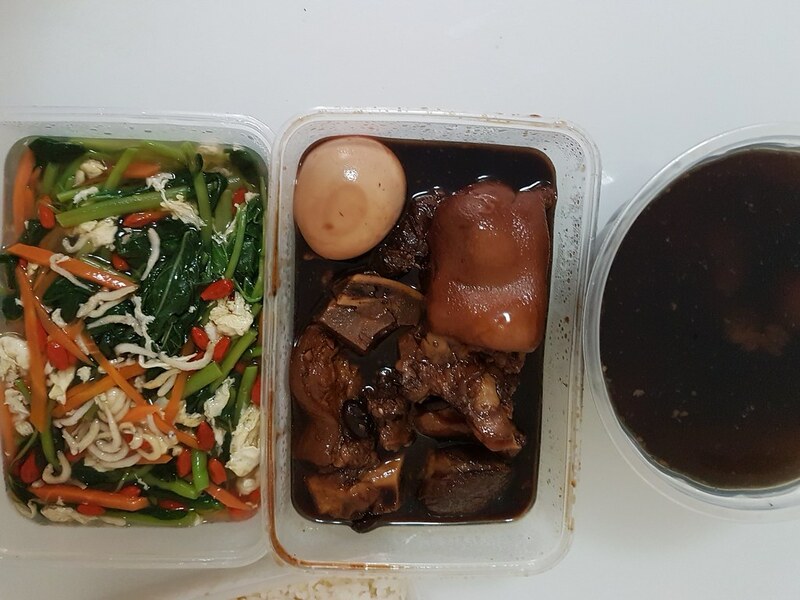 >> I emailed them when I was served pig’s stomach soup and thought that I’d already opted out of it but realised after they called that there was no such option in the special request menu. They ensured that there will not be innards in the following meals. 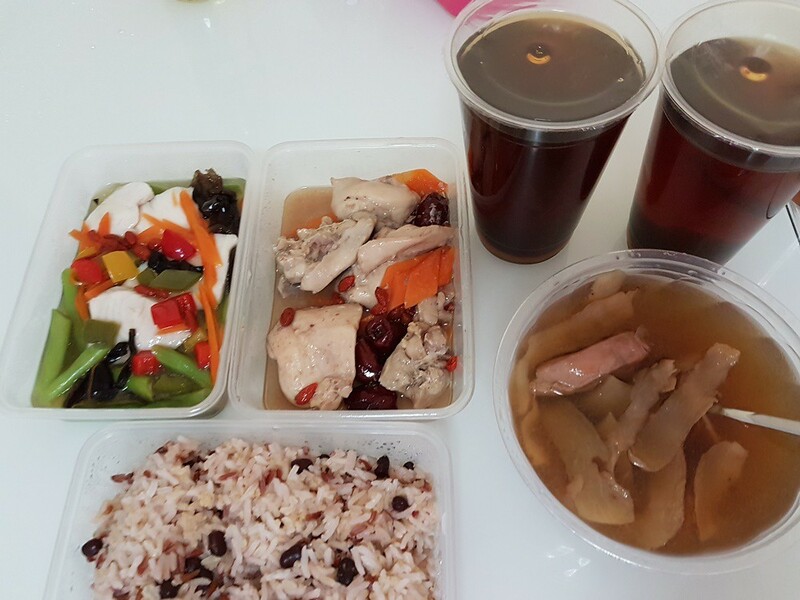 Meals are served individually in plastic containers with a layer of cling wrap in between to prevent spillage. 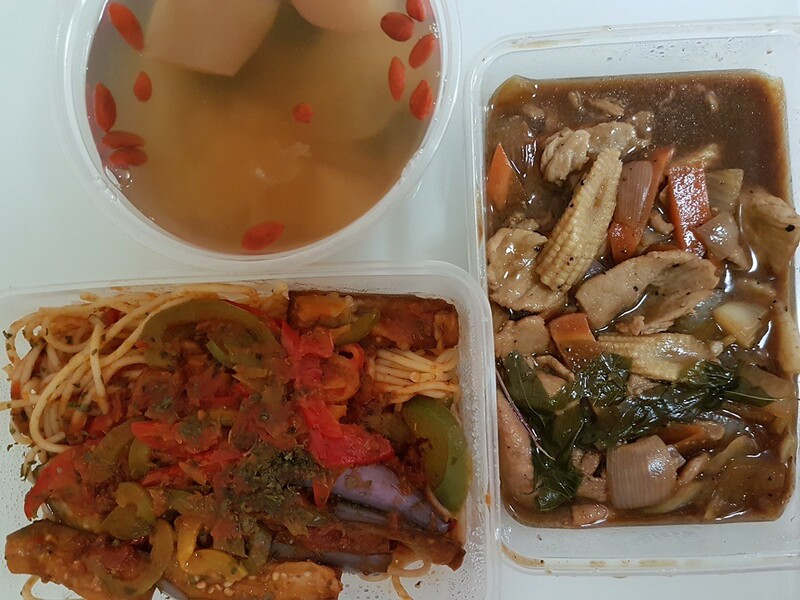 It is rather wasteful if you don’t wash and recycle the containers, but if you have your own tingkat containers, you can place them in the thermal carrier and they’ll use it for your meals. 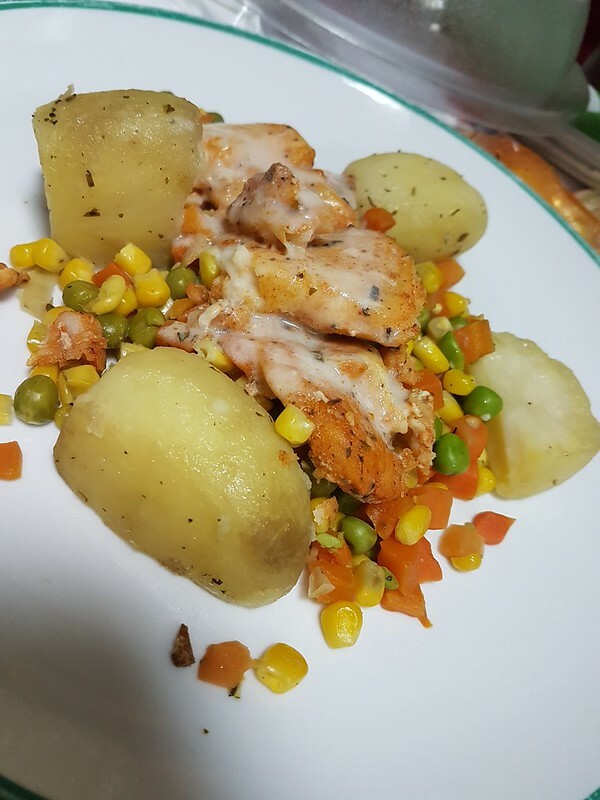 Portions are generous and nutritionally balanced with A. LOT. OF. VEGETABLES and chunks of meat. No MSG is used. The longan and red date tea is vacuum sealed like bubble tea so you can close your eyes and imagine that it’s cold milk tea you’re drinking. 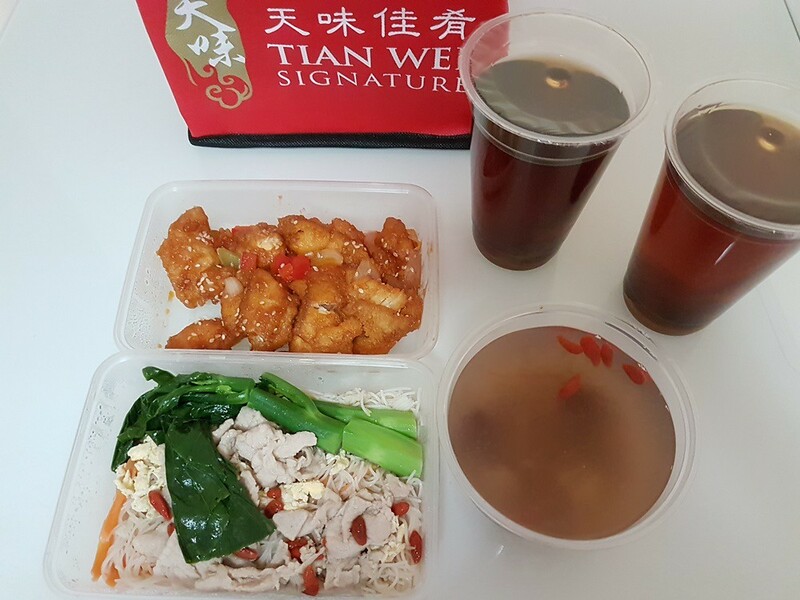 Don’t get me wrong, Tian Wei’s red date tea is the real deal with its ingredients (dangshen, red dates, longans) clearly visible in the drink. It’s just that drinking only red date tea for an entire month makes you crave for other beverages. If you’re bored of only drinking tea, you can swop your drinks to dessert! The amount of green vegetables (milk booster!) 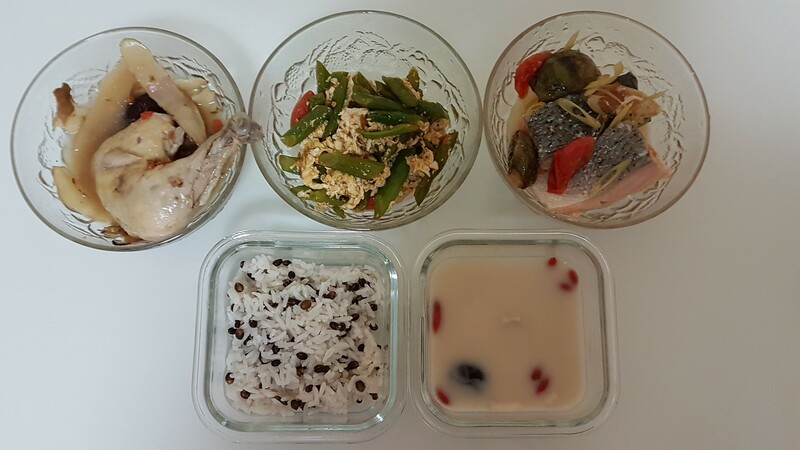 they provide with each traditional meal is probably more than what I cook for my family but the vegetables are served in a light broth with toppings like carrot, wolfberries, white bait and lotus root slices to add crunch and flavour. While most of the meat dishes are boneless, certain cuts of fish and meat contain bones which you should remove before eating. The quintessential confinement dish – vinegar pork trotters. This dish appears twice in the monthly menu. There’s a mix of fatty pork bits if you’re the type to slurp up the collagen as well as meaty bits for those who prefer meat to fat. Mee sua with pork slices in place of kidney with kailan and sweet and sour fish. I enjoyed this meal as the portion was more appropriate for me. 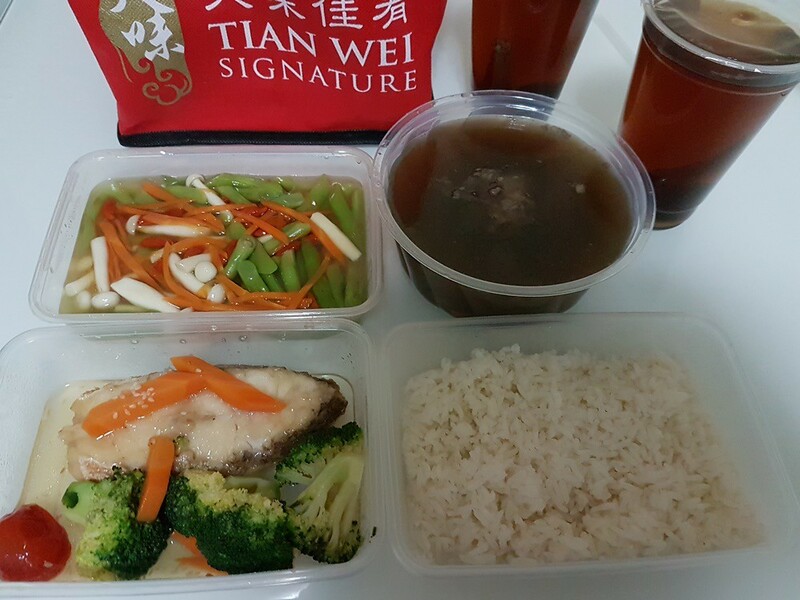 A unique selling point that Tian Wei possesses is their unique and innovative menu. I’ve never seen any other confinement caterer deviate from traditional Chinese confinement cuisine. This was what made me choose Tian Wei for my second confinement. A French dish of braised chicken in red wine, this is a dish likelier to be seen in a restaurant. 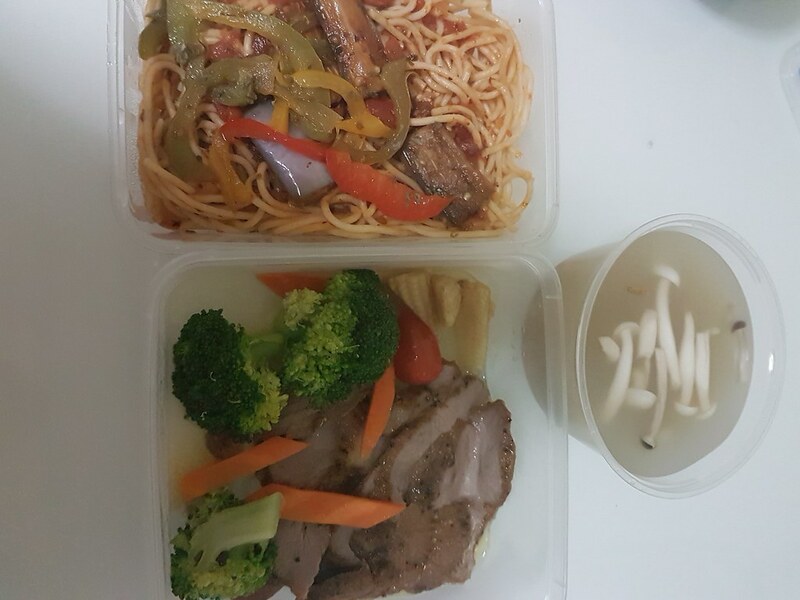 The sauce went well with the rice and there were potatoes, broccoli and carrots which added dimension to the meal. 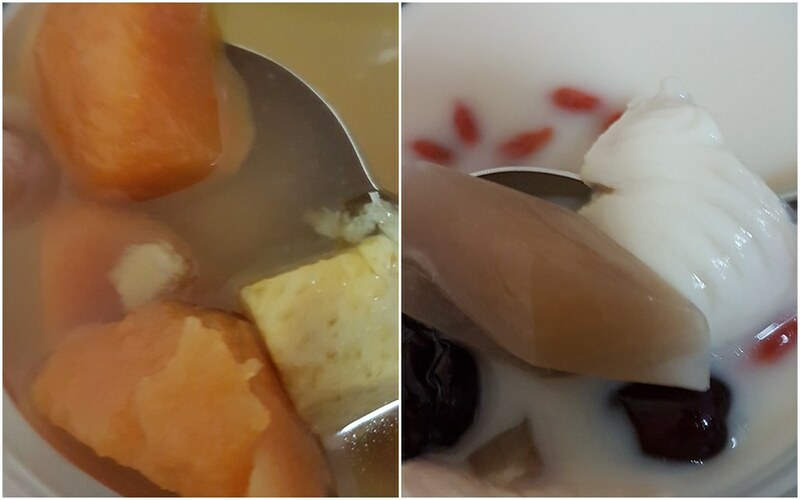 Instead of herbal soup, the papaya white fungus dessert provided a sweet ending. Look at the presentation and the colours of this meal! The tri colour grains included basil rice, quinoa with bits of carrot and corn as well as mashed cauliflower (tasted just like mashed potato). Cauliflower cream may sound weird on paper but the sauce was light and not overpowering. 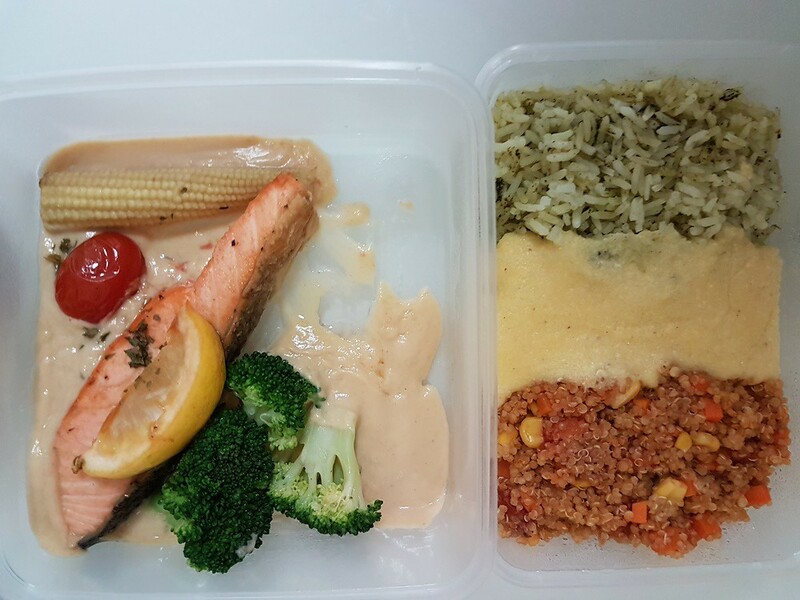 There was no fishy smell from the salmon as well. This was served with a dessert of red bean puree with orange peel. There’s Japanese cuisine as well! The creativity of the head chef shows in this dish. Flavourful yet healthy (boneless and skinless) with lots of greens. The fusion menu really adds a new dimension to confinement catering. 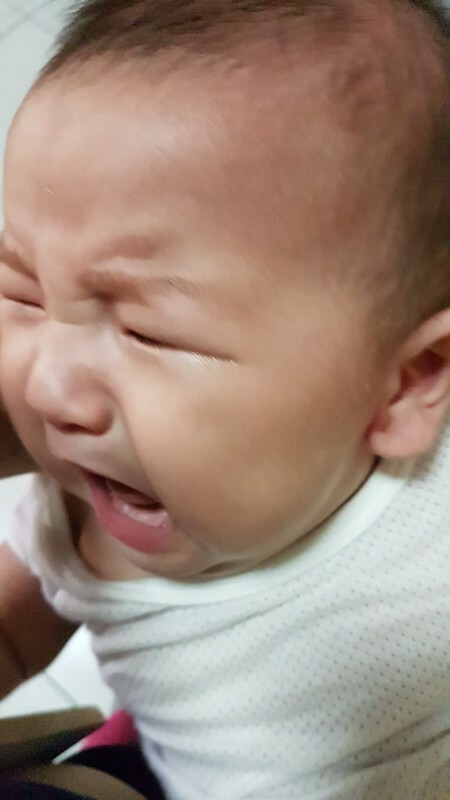 Combined with their service staff who are ever so ready to accommodate changes and special requests, your confinement will be a lot easier to handle if you engage Tian Wei! It seriously feels like I’m being pampered every meal. Today Got Class X The Musical Voyage #1: First Lesson! Is it really valid till 30th June 2018?